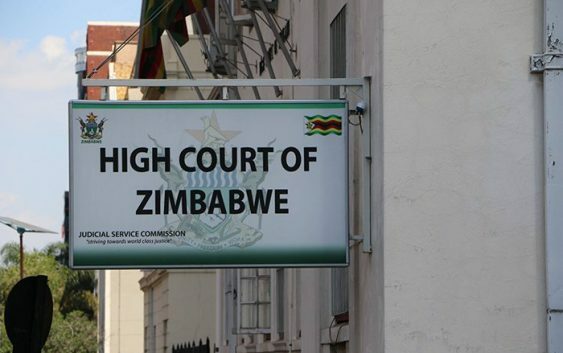 ZANU PF CORRUPTION DEMONSTRATED ON today, at the Harare magistrate courts, which had an unprecedented number of senior ZANU PF and connected officials . ZANU PF CORRUPTION DEMONSTRATED ON today, at the Harare magistrate courts, which had an unprecedented number of senior ZANU PF and connected officials . The accused are on remand on corruption related charges It was an interesting assemply of the cream of Z|anu pf corruption appearing on routine remand, on Wednesday 7/11/18..welcome to Zimbabwe! The continuous arrest of ZANU PF linked officials signifies how corruption was promoted and implemented under the Mugabe regime and as we always warn, is here to stay, because removing Mugabe and replacing him with his clone Mnangagwa is of no significance, the status quo remains!. This is a list of ex Zimbabwe Ministers and officials who have been arrested and face various charges in court. To the discerning eye, this is simply showcasing by Mnangagwa and the majority of these cases will be draggged along for years, simply be dismissed or dockets will go missing, while his corrupt system appears to the world, to be dealing with corruption,..wake up Zimbabwe! 11. Francis Gudyanga – Ex permanent secretary Ministry of Mines More news to follow. Aren’t we all proud to be Zimbabwean! Even though the oppressive Militarised Mnangagwa Zanu pf regime threatens to crush protests, the nation must not back down or allow democracy to be stifled. The people have a right to protest . It would be folly for Zimbbaweans to sit back and say its a teacher protest only. We all have a duty to wade in black, white, coloured, any race, tribe, religion, employment status, age, gender or other classification. This is a people protest, not about MDC T, MDC Alliance or any political group or leader. We need to stand united, make Zimbabwean an ungovernable state. NORTON MP TEMBA MLISWA LOSES three vehicles after failing to settle US$136 000 legal costs in a matter he lost to a private property developer and Norton Town Council.